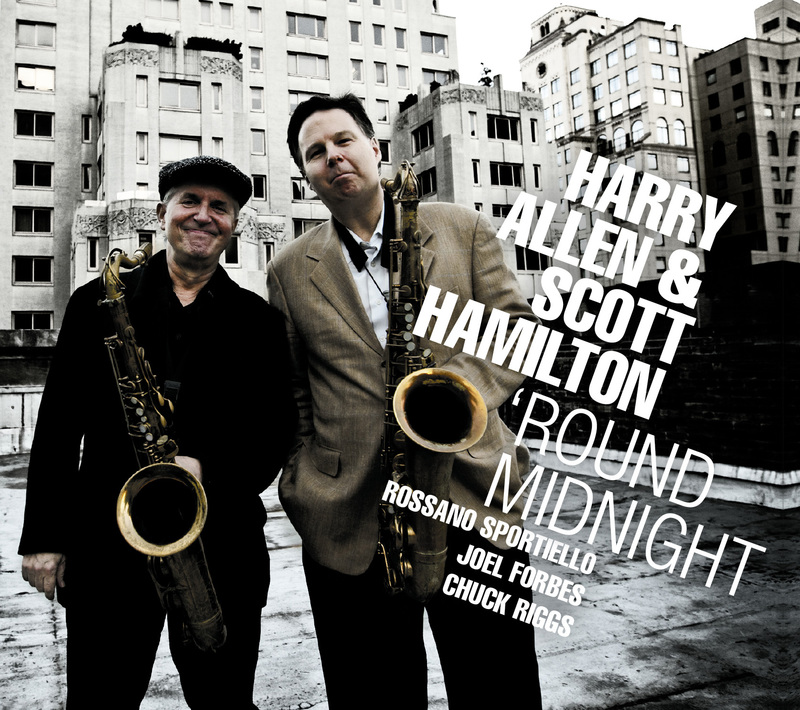 Having Harry Allen and Scott Hamilton team together on a record date, at a jazz party, at a jazz festival or on any bandstand is quite logical. Their playing is very complementary and they blend together well yet they have slightly different sounds. They help keep the tradition of swing tenor alive without sounding exactly like any of their historical predecessors. And they can always be relied upon to play music that is both exciting and tasteful. When listening to Harry Allen and Scott Hamilton jamming together, it is easy to think of the great tenor quintets of the past, particularly those of Al Cohn & Zoot Sims, Eddie “Lockjaw” Davis & Johnny Griffin, and Gene Ammons & Sonny Stitt. While the latter two teams were always very competitive, this Allen-Hamilton recording is perhaps most reminiscent of Al & Zoot in that the two tenors are very supportive of each other, they often seem to think as one, and they inspire each other to play at their best without being compelled to try to “cut” each other. ""Two warmly expressive traditionalists, tenor saxophonists Harry Allen and Scott Hamilton have hundreds of credits and dozens of solo albums between them""
"Their thrusting solos are endlessly vital and creative, easily among their best of the program"
"Here's a serving of gourmet comfort food heated to perfection."